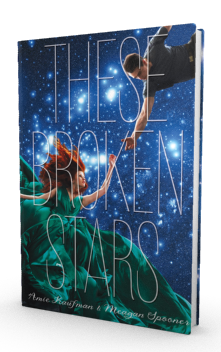 Amie Kaufman is the co-author with Meagan Spooner of the These Broken Stars, the first in the Starbound trilogy, and writes science fiction and fantasy for teens. Amie had the good fortune to be raised just one block from her local library, and took full advantage of that fact growing up. She and her sister spent their childhood summers re-creating their favourite books by camping in the back yard, mapping their neighbourhood, climbing trees, stepping through magical doors and sailing the local seas. Raised in Australia and Ireland, she has kissed the Blarney stone six times, thoroughly cementing her gift of the gab. As she grew older (but not up), she continued her education, and graduated with honors degrees in history, literature and law, and a master’s degree in conflict resolution. 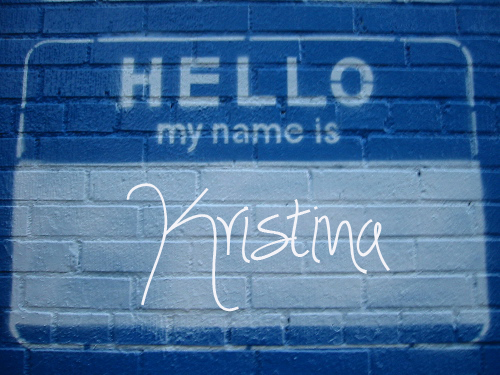 These days she combines writing with work as a mediator, as well as regular travel throughout the US, Europe and Asia. A few of her top travel moments include camping in the Sahara overnight, climbing a mountain in Vietnam, standing on the Great Wall of China and cycling the Loire Valley, but she has a huge list left to cover. Amie lives in Melbourne, Australia with her husband and their very quirky rescue dog, Jack. She’s a huge fan of chocolate and naps, has an enormous music collection, and an entire room of her house is devoted to her library. She still sails, and though she climbs fewer trees, she remains partial to investigating the occasional magical door. 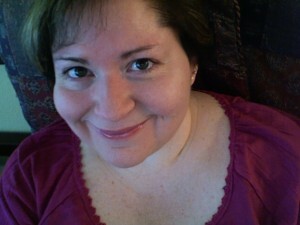 Follow Amie on Twitter at @AmieKaufman! Now, let’s see how Amie answers the Proust Questionnaire! Packing a suitcase to head off on my next adventure. Music is one of my great loves, so this is an impossible question for me! On this particular day I’ll choose Mr. Brightside by The Killers. I first heard it when my husband played it to me (which is how I get a lot of my music), and one of my favourite gigs was when I got to hear it from the front of the mosh pit. Oh, I would love to be able to sing! Meg has a gorgeous voice, and though I belt songs out in the car like a superstar, it’s not something I should inflict on anyone else. I have been known to say a gift is absolutely lovely and just what I wanted. Otherwise, I try to keep on the right side of the line. As I write this, Meg and I have finished the first draft of our second book and we’re diving into our third, which I’m really excited to begin. I’m feeling both excited and accomplished. The ability to share an easy silence. This is like the music question! I could cheerfully spend the rest of my life in the Musee d’Orsay in Paris. 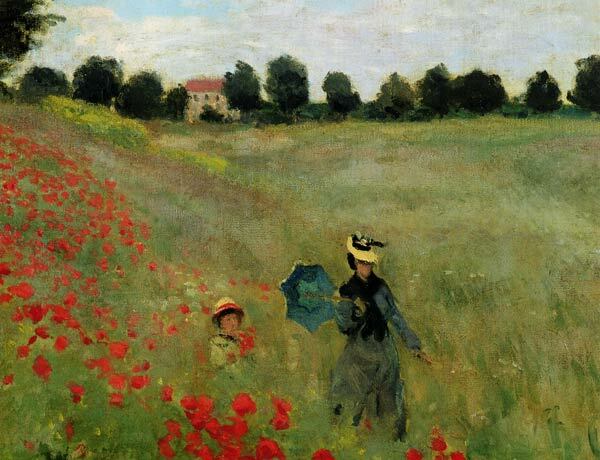 I love impressionist works, and one of my favourites is Poppies by Monet. I love the vivid reds, and I love wondering what’s in that house on the horizon. About 11pm—my favourite time to really get down to writing, especially if I don’t have to get up the next morning! Susan Cooper, author of the Dark Is Rising Sequence. Though I would almost certainly embarrass myself with excessive fangirling. I have a wonderful home, family and friends around me, I’ve been amazing places and seen some very cool things. I’ve slept under the stars in the Sahara, explored Roman ruins and seen Australia’s incredible, untouched wilderness. I plan on living for a very long time to come, but I could die happy tomorrow. I can’t pick just one––travel makes up a large part of every year for me. I love to go back to Ireland where most of my family is, I love to visit New York (in large part for the food), I love Paris for the art, and I love the road trips my husband and I make with Meg, no matter where we’re heading. Reading. Under the covers with a torch, under the desk at school, at the dinner table if I could get away with it. I remember all my dreams, and Meg barely ever remembers hers––we are agreed that mine are crazy enough for both of us. The last dream I remember, I was sailing, which I love to do. I woke up smiling. The smell of mango––that’s how I know summer has truly arrived. Lorin Oberwerger is an Author/Independent Book Editor/Director of the acclaimed Writing the Breakout Novel Intensive, Story Masters, and Your Best Book Workshops. In love with the written word and in the business of making writers great. Tampa, Florida. Single. Two cats. Gemini. She is currently working on an amazing and ambitious work-for-hire project about which I’m not really permitted to say much. Let’s just say that outside of the work I do with other authors, this is my favorite paid project to date! 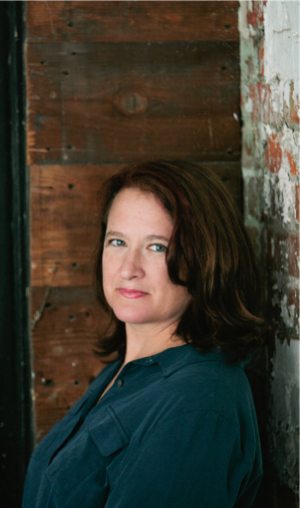 She is also the co-author of BOOMERANG with Veronica Rossi, which is forthcoming from William/Morrow. Keep up with Lorin on her website. Let’s see how Lorin answers the Proust Questionnaire! For my loved ones to be happy, healthy, and secure, and I’ll take some of that myself. More microcosmically, I also love the dark middle of the night when I’m traveling alone, listening to music full blast, and feeling as though I have complete ownership of the road and the moments of my life. Love Reign O’er Me – The Who. I first remember hearing it after I snuck down to my sister’s bedroom and stole her copy of QUADROPHENIA, which was so big, deep, and ambitious that my tween self hardly knew what to make of it. Proceeded to listen to it in the dark of my room every single night for about two years. ANY sort of physical prowess would be awesome, though I’d also love to play the guitar. I really try not to do much of it, but I guess I’m as guilty as anyone of the occasional socially smoothing white lie. 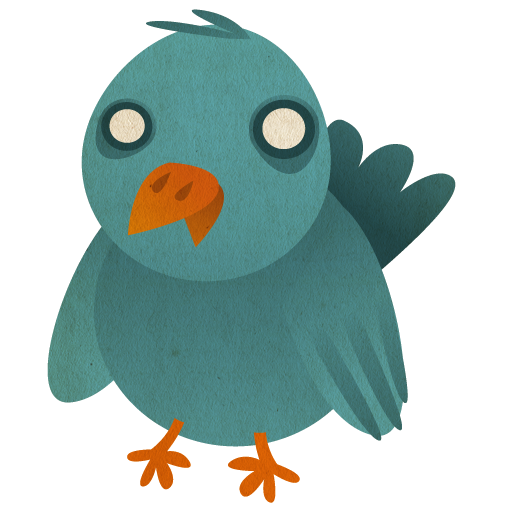 Post-workshop brain fog coupled with a bit of deadline induced overwhelm. Oh, so many! 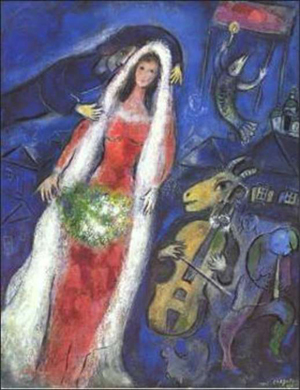 But let’s say Chagall’s La Mariée for now. Physical = The drive between Santa Fe and Taos, New Mexico. Spiritual/Creative = the journey between adequacy and mastery. Late evening, when the world slips away a little bit and I connect with friends and clients all over the place. Honestly, I could die happy right now, though I’m sure not looking to do so. But a published novel of my own would ice the cake. I was attempting to give a lecture on some topic related to science (which should have tipped me off that it was a dream). My notes kept disintegrating in my hands or the letters would slide off the page. At some point, I just lost my voice completely. 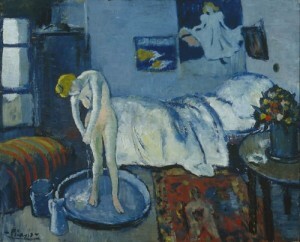 Classic anxiety dream! A roasting chicken. Takes me back to the weekends of my childhood, and to pretty much every Jewish holiday. Jaye Robin Brown, or Jro to her friends, lives and writes in the mountains north of Asheville, North Carolina. She is fond of horses, dogs, the absurd and the ironic. When not writing, you can find her in the art room of the high school where she teaches. 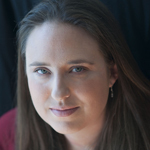 Her debut young adult novel, NO PLACE TO FALL, comes out in the fall of 2014 from Harper Teen. It’s about dreams, singing, friendship, lust, love, betrayal, family, and mistakes. It’s also a love song to small town girls and mountain music, both of which shape the area that Jaye now calls home. Find her on Facebook, Tumblr, Twitter, and her website. Let’s see how Jro answers the Proust Questionnaire! Being absorbed. In a story, a moment, in art, in friendship, in love. I think when you are so swept up in something you are able to forget all of the day to day adult worries and anxieties, that is happiness. Also, the smell of a horse and the friendship of a good dog. Like everyone else before me, how can you name just one song? I wouldn’t call this my favorite song, but it’s one I have a memory of hearing the first time. Lou Reed singing “Take a Walk on the Wild Side.” This was back in the days of walkmans and I was hanging out at the yacht club where my father sailed. This boy I knew, a regatta brat from New Orleans, had it on his walkman. It transported me. Big cities, a she who was a he, all concepts far, far removed from my upper-middle class Old South upbringing. It stirred something in my bones. I remember searching for months afterwards to find this song and who sang it. I desperately wanted to take a walk on the wild side and finding this music seemed key to my freedom. I wish I could sing. Really sing. I think it’s why I gave the talent to my protagonist in my forthcoming novel. I’m flatter than a train-hit penny. Sadly, to myself. “Should I order these shoes?” “Why sure, self, no problem. You really do need them.” Sometimes to my students if they get too nosy about personal moments, past or present, though usually I’ll try to deflect rather than flat out lie. Walk through the open doors. You are asking this of an art teacher and a former craftsperson. It is truly impossible for me to name only one. I love Jan Van Eyck’s Arnolfini Wedding because it’s tiny as master works go (24” x 32”), and look at the detail! 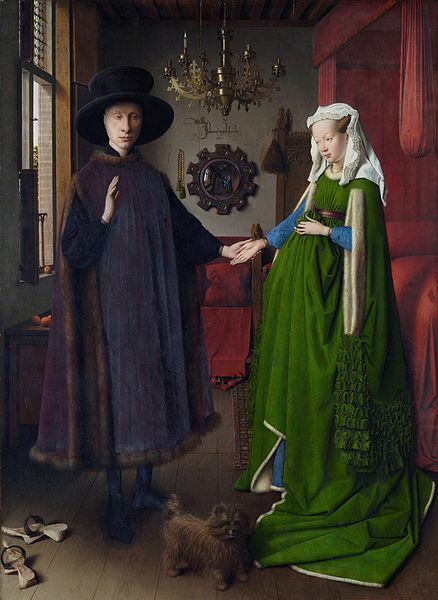 It’s loaded in symbolism (typical of Northern Renaissance pieces) and I spent hours hunting for it in the Louvre then hours looking at it. The works of Vassily Kandinsky––I walked into the Guggenheim and there was an entire room of his work. It blasted me back with its vibrant color and wowness! I literally had to sit down. 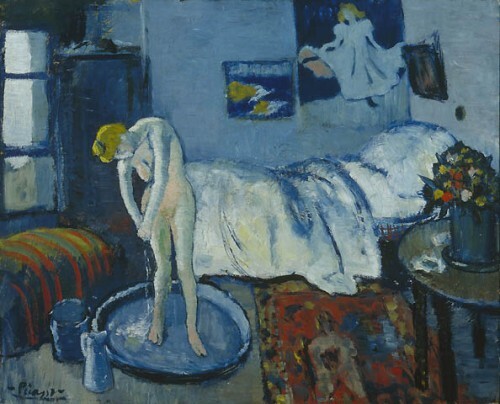 Picasso’s Blue Period pieces are evocative and beautiful. Faith Ringgold’s story quilts are amazing in their depth and detail and she’s so cool. Sally Mann’s photographs of her children and her “At Twelve” series are eerie, disturbing, and beautiful and speak to the area in which I write and live. I could kick myself a million times over for missing the opportunity to buy one of her prints at an earlier time, easier price. And finally, a local artist, Robert Johnson, who does beautiful botanical journal pages and paintings from his travels around North Carolina and internationally. I could keep going and going. Being with one other person for a number of years. My partner and I are going on our eighteenth. It’s not something anyone can ever explain to you, the rises, the dips, the subtle changes, the acceptance, the knowledge. It’s not an easy journey but it’s amazing. Dawn. Total flip from my younger self. But now it’s my best writing time, a time when the rest of my world is sleeping. I’m awake before the sun, even before my rooster and I love hearing him start to crow. He wakes up the songbirds and when they awake, I know it’s time to get ready for work. This is a difficult question. I want to have coffee with someone who’s interesting, that will make me laugh, yet teach me something at the same time. Two people come to mind. Albus Dumbledore and the art teacher from Laurie Halse Anderson’s Speak. The first because he’s this ridiculous combination of wise, secretive, flawed, and kind. The second because I want to ask him about lesson planning and how the semester long assignment of giving his students an object theme worked out. Did they stay on task? Did they all have break throughs like Anderson’s protagonist? It’d be fun to talk shop. I’m happy now. I’ve walked through a whole boatload of open doors. No regrets. Of course, I’d love to stick around to feel what’s it like to have readers, to write more books, to travel to some new places, hike some new trails, but if the proverbial bus hits me, well, I’m good. The natural world. I’ve been an outdoor girl for a long time and it’s a place I can endlessly observe and never get bored. Ha. This is a funny one. So in real life – they brought the drug dog through my school. Since I teach art, I worry about “my” kids. If anyone were to be feeling experimental, it’s probably some of my art students. Thick humidity, gulf sand under my feet, an ice cold coke in a tiny green bottle, and a perfectly sweet slice of watermelon. I grew up on the Gulf Coast of Alabama and every Fourth of July, the entire maternal side of my family would gather for a family weekend at a large coastal house. When I think of being a child this is where I’m transported.